Do you need help with dog behaviour problems? I am a specialist dog trainer, a dog whisperer. I use a dog’s natural instincts to change a dog's behaviour without using treats. Many owners would like to train their dog without having to carry treats everywhere or they have dogs that do not respond to treat training. 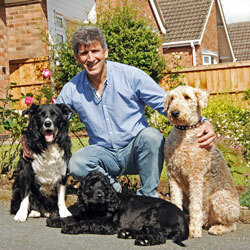 I offer quick, simple and effective cures for common dog behaviour problems without using harsh or punitive methods. 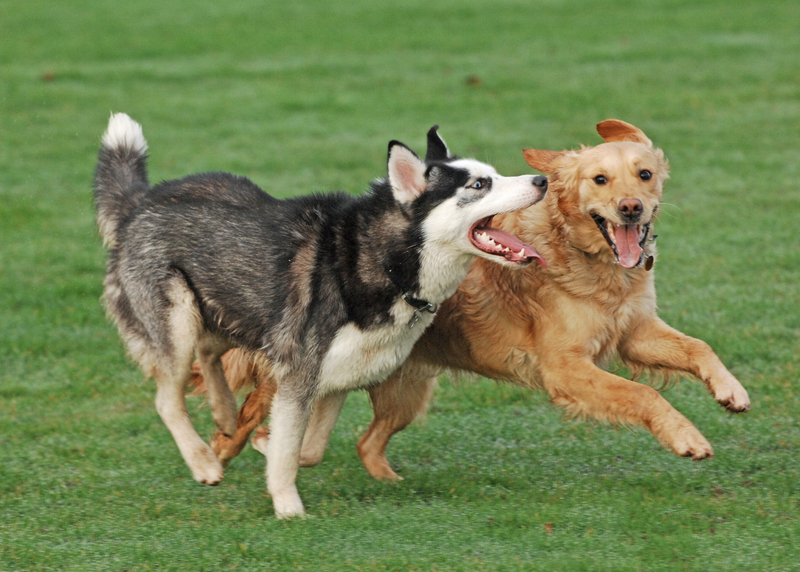 A regular problem I am presented with is aggression to dogs on or off the lead, usually described by owners as lunging, barking and snapping at other dogs. By introducing my pack in a carefully controlled way I can correct the aggression safely and encourage the problem dog to choose avoidance and calm submission rather than aggression and intimidation. I rely on my pack to show the dog the best way forward and they never let me down. In nature, young dogs are taught by the older dogs in the pack how to behave. It's a very natural way of learning. I help owners to become their dog's teacher. Pulling on the lead is a very common problem. Some dog trainers will advise the use of various head collars or harnesses. I do not use any of these, preferring to use a simple lead and communicate directly with the dog so that it knows who is in charge of the walk using some very simple and effective methods. Jumping up can be stopped permanently with a couple of effective methods. Simple dog psychology will cure your dog of this in record time no matter how many years the dog has been jumping up. Owners are often told by dog trainers to turn their back on the dog and ignore it. Ignoring the dog is usually a waste of time as the dog will not understand that its behaviour is unacceptable. It will simply think you are not interested AT THAT MOMENT. It won't stop it trying again another time. Jumping up and non-stop barking when the doorbell rings or growling at visitors is not difficult to cure if you know how. It usually takes about an hour to teach owners how to gain control of their house, their front door and window. Separation anxiety is the result of a dog attaching itself to its owner and may result in the dog howling, barking or causing damage in the house when the owner leaves the dog for any length of time. By using some very simple techniques you can wean your dog off you and enable it to become an independent member of your household. It will soon realise it doesn't have to accompany you to the bathroom! Dogs that are nervous require a gentler approach to encourage the dog and give it confidence. Trying to soothe and love these dogs back to normal rarely works as dogs do not understand soothing or reassurance. Reassurance can, in fact, reinforce a bad behaviour. They need a structured framework of simple rules they can relate to, and other dogs to mix with socially. A firm but fair approach works very quickly. My dogs are very well balanced and it is a joy to see them bring shy, retiring dogs out of their shell and behave like normal dogs. I am regularly called out to help people who have given a good home to a rescue dog that has become fearful and aggressive to other dogs, usually because of being attacked by another dog or abused by a human. Some trainers or behaviourists have told my clients that their dogs can never be fixed and have advised euthanasia but I have them running around with my dogs in the garden within hours. I've tried everything and other trainers too. The majority of people I meet are a little sceptical about my ability to change their dog's behaviour quickly. After all, they have read books, watched DVDs and TV programmes, used trainers and behaviourists and scoured the internet for solutions to their dog's problem. All to no avail. The problem is that a lot of modern dog training is based on positive reinforcement treat training. Many dogs will simply not respond to this form of bribery because they are nervous or confused - not hungry! Do humans eat when they feel nervous or afraid? I don't, so why think a dog is any different? Using Positive Reinforcement treat training on aggressive or nervous dogs is not logical. Neither is the use of excessive force. I do not use the Alpha roll (pinning a dog to the ground) because I know from experience it can make a dog's behaviour worse. I do not use body harnesses, spray collars, electric collars, head harnesses of any kind (dogs hate them) or choke chains. I do not advocate the use of calming drugs or "magic" scents or the use of a crate to imprison a dog to change a behaviour. Unfortunately most trainers and behaviourists are only trained using treat and distraction methods and are completely clueless if the dog is not interested in food - but they will still charge you for the privilege of watching them fail. I use natural methods and get results quickly because the dogs understand straight away. I then take the time to explain to the owner why their dog is behaving in that way. I probably spend more time training the owner than the dog. My aim is a happy owner and a happy dog. Client reviews are important to a business and the best way to judge a service is by reviews from satisfied customers. You can visit different websites and investigate whether a business is providing a good level of service, such as Tripadvisor if you were going on holiday. Dog whisperer clients are sent a link to a site called FreeIndex. FreeIndex is an independent review site for all types of businesses. Every review is double-checked and verified before it can be published on their web site and any fraudulent reviews result in the business being removed. Simple dog-friendly methods to train your dog effectively without treats. Bribery is not obligatory! Simple, quick and effective techniques. I spend more time training humans than their dogs! Visit our secure on-line shop for books and leads.